Do you remember long ago when you had to stand up in grade school in front of strangers and perform? Or better yet, still in school and throwing a party? Yep that is similar to what an art opening is like. The nervousness and anticipation. The gallery owner asks him/herself questions like: Will anybody come? If they do come will they buy anything? Did I advertise enough? Did I forget someone? The artist(s) asks all those questions plus: Did I take to long talking to that person? Am I missing an opportunity by not talking to that person? Who is that person? Have I already talked to them? Am I sounding like a recording of myself – just push the “play” button and the elevator pitch comes out? Why did I not just become an office worker with a steady income, lots of free time, company benefits, paid vacation, and always an abundance of work to do – like my parents encouraged me to? Now both the gallery owner and the artist(s) have all that in common, in addition they have to smile and act like it does not matter. Think of the Dial commercial – “Never let them see you sweat” is very appropriate. What a recipe for being or having some kind of psychological “ism” wrong with you. As an appreciative and supportive person of the artist (presumably you would not be there if you were not), be nice and gracious to the artist and the gallery owner. Even if you know the artist, come up and introduce yourself casually along with your date. Believe me the artist will be somewhat relieved. You have just taken off some of the pressure of a social encounter. Talk with the artist for a minute or two or maybe a little longer if you have a question. Then mingle with the crowd. There are probably a lot of other people that want to talk to the artist that evening, but are too bashful to cut in. 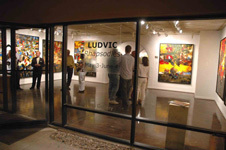 This is a selling event for the artist and gallery owner. Their job is to get people interested in buying art tonight and in the days ahead. Not just talk politics. If you are interested in getting a custom artwork from the artist – make an appointment to see them a day or two after the show. An appointment after the show is a kindness. Just write your name and phone on a business card and possible times that would work for you. 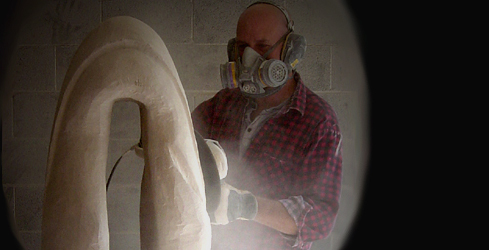 It allows time for the client (you) and the artist to discuss custom work in a less pressurized environment. Better art results from this. If another question occurs to you that you would like to ask the artist – go ahead. That is what they are there for. Just remember that the artist may have forgotten that he(she) talked to you. You are not forgettable at all. Just reintroduce yourself and ask your question. Opening receptions are hard work for artists. A lot of them do not get out much – their solitary work environment gets in the way. For a lot of artists it is rather like a reception line that you shake hands at. The politician shakes your hand and moves you to the next person. You are important; there are just a lot of important people to see. Politicians also have an advantage – they have a political minder who reminds them of all the people’s names wanting to shake hands. Most artists do not have that advantage. Enjoy the opening reception. Have some wine. Talk to the artist and also the gallery owner. The gallery owner does get lonely. Ask questions. If possible – buy some art. Have the artist personalize the art for you with an inscription. Above all have fun. It is a great night for a show and to meet people. You just might meet someone interesting or better yet find a ravishing piece of art that you just have to have now.